"What's that?" my wife asked as she arrived home, smelling something cooking. "Lasagne?" "Not exactly," I responded hesitantly. "Shepherd's pie! ", she exclaimed, peering through the window of the oven. "Er... chilli pie. With tortilla chips in it". "What? What the hell? Why would you do that?" "Because it tastes good", I replied, truly believing I was stating the obvious. "I'm going to tell everyone on Twitter what my stupid husband is eating for dinner". And so it went. But I maintain that this pie really does taste good. This is a dish of layers. 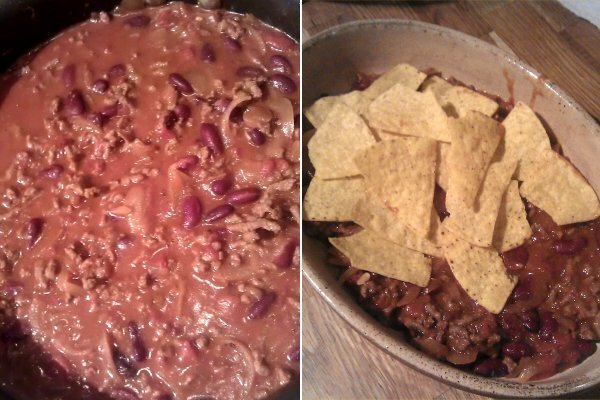 Chilli, tortilla chips, more chilli, then mash. I like my chilli with lots of cumin, fresh chillies, and tomatoes. Sainsburys "basics" tortilla chips are actually perfect... not too salty. And most importantly, cheap. 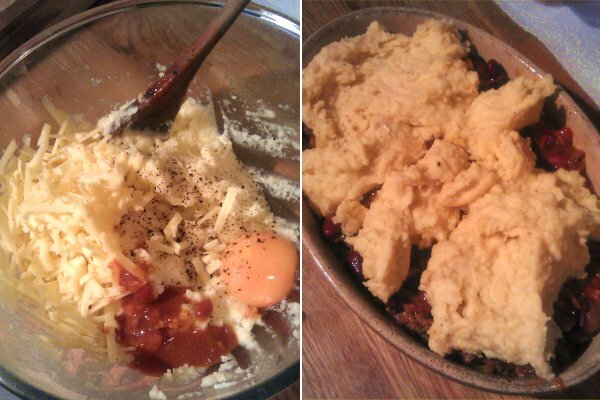 To make the mash extra tasty, I added cream, butter, egg yolk, grated cheese, salt and pepper, tabasco, some surplus gravy from the chilli... and a few handfuls of crushed tortilla chips. After half an hour in the oven on a high heat, you have a nice crispy crust! To be honest, this pie isn't really all that filthy. 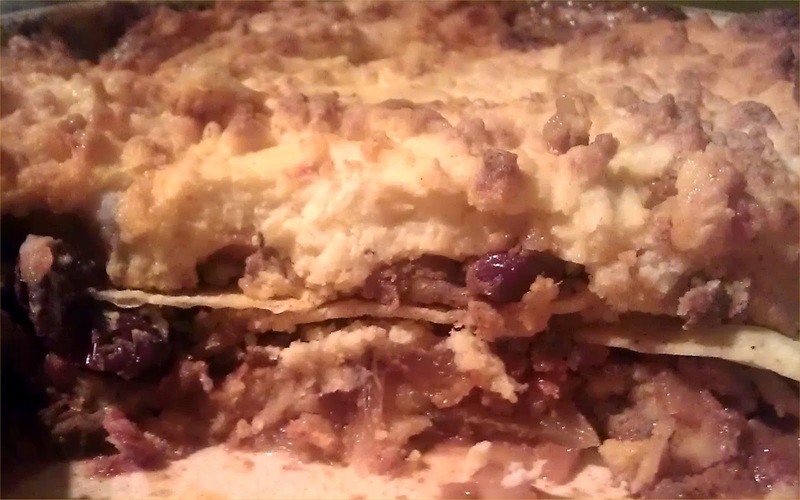 In fact it's practically proper food - it even has vegetables in it. 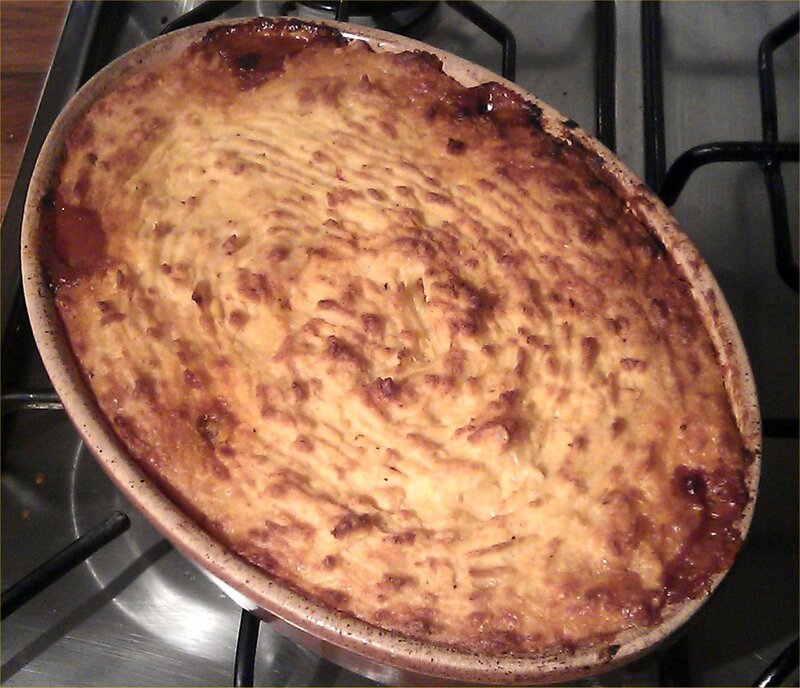 But it tastes great, and for my money it's much more enjoyable than a crappy old shepherd's pie.